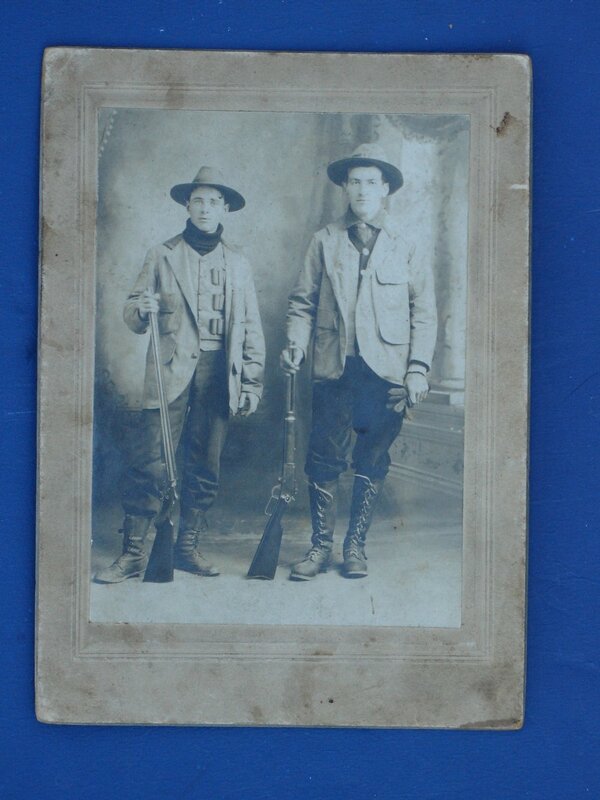 This is an old cabinet card photograph of two hunters posing with their weapons. 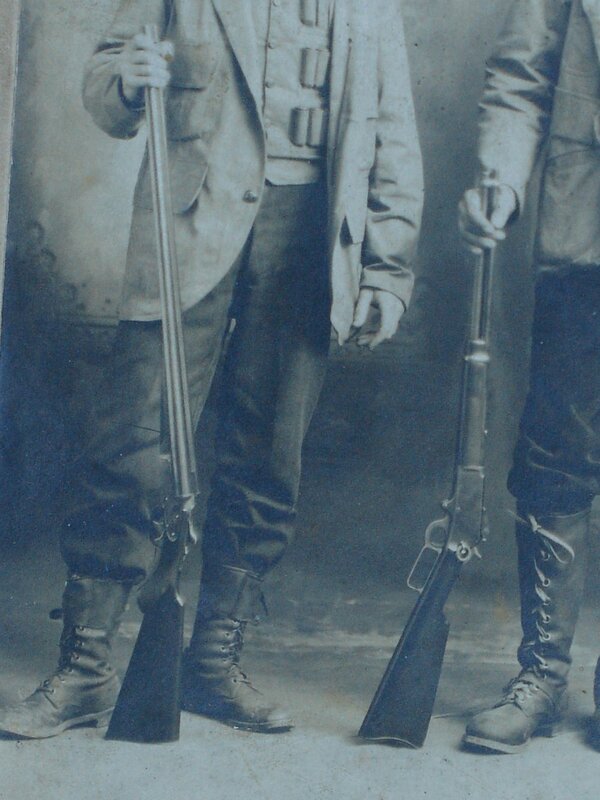 The man on the right has an almost brand new Marlin Model 1894 Saddle Ring Carbine with a Hepburn Receiver Sight mounted on top of the frame. The man to the left has a double barrel hammerless side by side shotgun...possibly a Lefever or an LC Smith. Note the shell loops sewed across the left side of his vest. Appears to be circa 1905-1910. Very Good Condition Overall.